We're a little worried of Bentley, our labrador pup gifted by a dear friend. He's sufferring from some stomach problem. We did our research on the web and it could be something he ate, a parasite or indigestion. He's scheduled for a check-up. Some forum members suggest we reduce his daily food intake. We're still observing him. 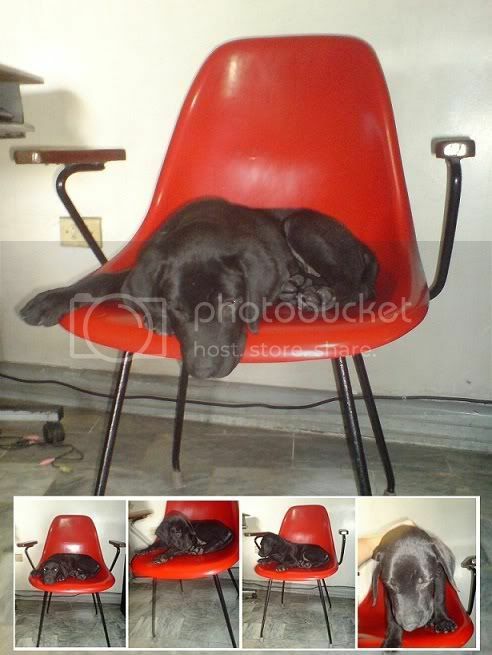 On another note, he is pictured above on a thrifted chair we got at a junk shop for roughly $1.25 (Php 50).